Record running videos and with ApowerREC screen recording software. Screen recording is available for Windows, MacOS, Android and iOS. Record all on-screen activities with just one click. ApowerREC will record anything either it is offline activities or online activities. Record online streaming videos, live web meetings, and more. 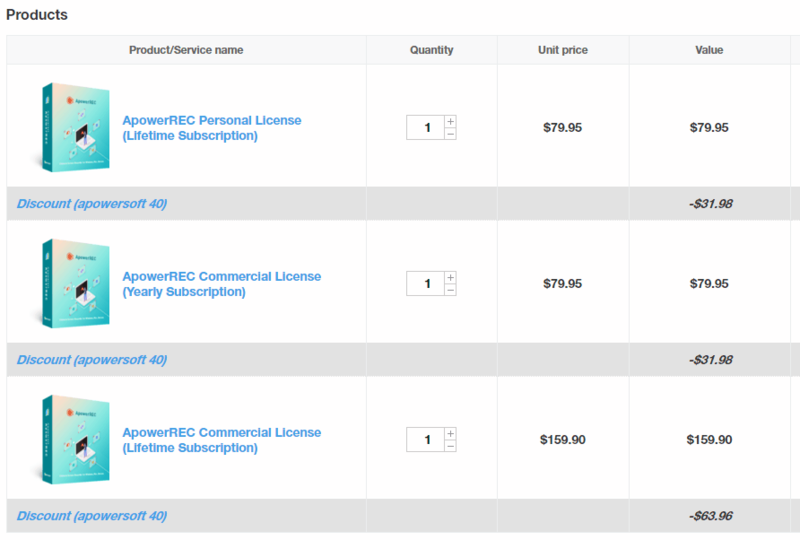 ApowerREC software is available in the license version, Personal and business version is available in purchases. You can access all of the features without any limitations after purchase. For Personal use, it is available in a single lifetime, yearly and up to 2 to 5 multi-user, the cost for various options are $79.95, $35.95 and $279.9 respectively. On business version software available in a lifetime, yearly, and team version which is available in $159.9 and $95.95 for lifetime and Yearly. Whereas team version rate depends on your team strength. 1. 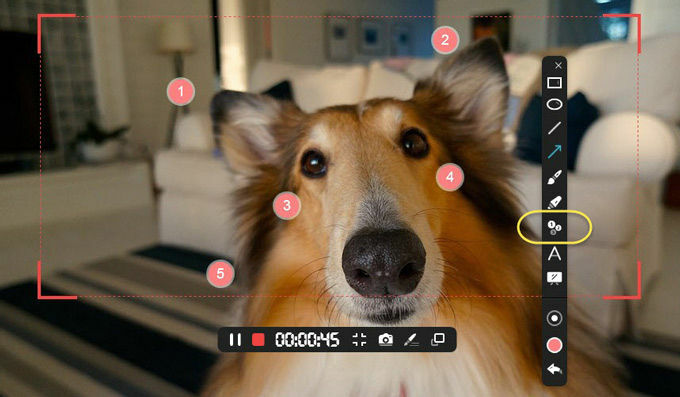 Edit Videos: after recording a video, you can edit them with using software inbuilt tools. You can do real-time editing while recording also. 2. Record Webcam: You can record webcam along with your screen simultaneously. Running webcam process you can record. 3. Task recording: Your scheduled task will be recorded automatically. Or you can run an application for the record. 4. Convert video: You can convert recorded videos into different video formats i.e. MP4, AVI, WMV, MOV, etc. 5. Take screenshots: With a single click on Screenshot feature, you can take screenshots. It can be saved automatically in your system. 6. Record Audio: Adjust and customize audio of the recorded videos. Customization can be from sound card and microphone. ApowerREC is cost effective for all mobile and Desktop/laptop operating systems. You can take effective and productive work from it. In business, teaching and training, studying and gaming, For the general purpose to record a troubleshooting videos ApowerREC is a big advantage to have. 3. In general, the coupon can be applied for all products of Apowersoft.